This is the year I got serious about credit card sign up bonuses. Assuming you have good credit and a responsible spender, credit cards can be a great way to earn free travel. Below is a list of the credit card applications I submitted in 2015. As always, I do not receive any commission or payment if you sign up for any of the credit cards listed. I am not a financial planner, accountant, attorney or fortune teller — this is only my experience, do not take it as advice for what you should do. I actually got two of these cards (once in April and again in June) and have had an additional two of them in the past. Alaska Airlines Mileage Plan is one of the best loyalty programs and even if you never fly on an Alaska plane, it can still be worthwhile. It is easy to sign up. The first time I applied in 2015 I received immediate approval, the second time it took a day to receive my approval. You earn 1 Alaska mile for every dollar spent, with 3x the points for spend directly with Alaska. A bonus of the credit card is the annual companion fare. When you purchase one ticket at website price, you get a second one (on the same flight) for $122 (ish). Your companion must fly with you on the same flight. I used my companion fare with my brother-in-law for a family trip to Kauai over Thanksgiving. The flight was $1,400 each round trip in coach due to the holiday. Instead, we split the price of two tickets using the companion fare and each paid $800. Still a lot for Seattle to Kauai but a lot better than $1,400. A new benefit of the card is free checked bags when flying Alaska. Sign Up Bonus: 25,000 Alaska Airlines Miles and $100 statement credit – with a little hunting you should be able to find a link with the $100 statement. Will I Keep It: NO. This is a card that is easily “churnable”, meaning you can apply for another card and then cancel your current one before the annual fee hits. I will not keep my two current cards for a second year; instead I will apply for a new one. I applied for this card in February when they were offering 20% points back when using points for a stay. It coincided with my Elite Tier Offer (aka Diamond Challenge) and was a nice way to double dip. You earn 1 Hyatt Gold Passport Point for every dollar you spend — with bonus categories that include restaurants, air travel, car rentals (all 2x), and of course Hyatt hotels (3x). 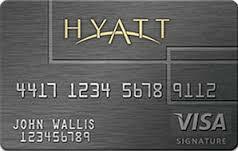 The card comes with Platinum status with Hyatt Gold Passport; although to be honest that isn’t very useful unless you want to status match to Mlife. You also get a free night at a Category 4 property each year. Will I Keep It: YES. The $75 fee for the free night plus ability to earn Hyatt Gold Passport points is worth it for me. I applied for the SPG Amex the same day as the Alaska Visa (above) and the Citi Prestige (below) in a mini App-o-Rama. SPG (Starwood Preferred Guest) points are valued at some of the highest in the loyalty world partly due to value of transfer partners. For example, you can transfer 25,000 SPG points to Alaska at a 1:1 ratio and get a bonus 5,000 SPG points back when you do so. 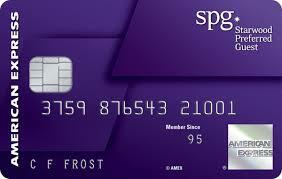 You earn 1 SPG point for every dollar you spend — with bonus points for spend at Starwood properties. Will I Keep It: TBD. I do like SPG points and you cannot get the sign up bonus again. 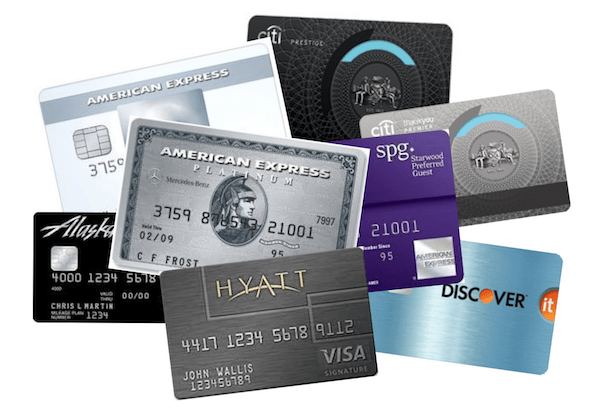 Amex cards are not churnable, one sign up bonus per card in your lifetime. However, Amex recently raised the annual fee from $65 to $95; I will probably cancel before the annual fee hits in April. This was my first “Premium Credit Card”, I felt like quite the high rolling adult when I was approved for this one. It comes with a hefty annual fee but the benefits are pretty spectacular; I would say the best of any credit card I’ve checked out. 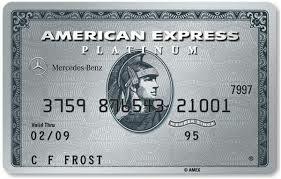 The closest competitor is the Amex Platinum (see below). You earn 1 ThankYou Point for every dollar you spend — with bonus categories that include restaurants, air travel, and hotels. ThankYou Points are a bit different than the other cards I have mentioned in that they are a credit card currency, not miles or hotel points. The best use of ThankYou Points is to purchase American Airlines tickets with other airlines right behind. The nice thing is that you can still earn miles on these “award” tickets purchased with ThankYou Points — they function just like a ticket you purchase through the airline. You can read more about the benefits on detailed post here. But quickly they include $250 annual (based on calendar year) reimbursement for airline spend, lounge membership through Priority Pass, and reimbursement for Global Entry application fees. I also like the Price Rewind price protection program where you get reimbursed if an item you buy drops in price. Will I Keep It: YES. 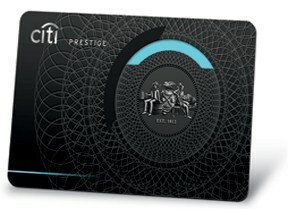 At this point I prefer the Prestige card to the Amex Platinum due to the $250 credit for airline purchases each year. This is good for ANY purchase including airline tickets. Amex is much more narrow. The Priority Pass membership is also more generous than Amex, but you do not get access to Amex Centurion Lounges. Only a few months after getting the Prestige I applied for the Premier card; Prestige’s kid brother. It is very similar but with a lower annual fee and none of the perks. Sign Up Bonus: 40,000 ThankYou Points but I was able to snag an increased bonus of 60,000 so keep an eye out. Will I Keep It: NO. I applied for this card only for the sign up bonus. I will transfer my ThankYou Points to my Prestige card and close this one. I applied for this, my first Discover Card, when they announced their Double Cash Back Rewards program. Basically you earn 1% cash back for every purchase you make which gets doubled after the first year. The real winner is in their bonus categories each quarter that gives you 5% cash back for Amazon, department stores, home improvement, etc. Again, that gets doubled after 1 year. They also have a great portal that can lead to double dipping and some amazing deals. The cash back you earn can be deposited into your checking account; it literally is cash back (not in the form of points but in actual dollars). Of course the “deal of the year/decade/century” is the Apple Pay Discover promotion that gives 10% bonus back on every purchase made with Discover through Apple until the end of 2015. This too gets doubled, essentially giving you 20%+ back for every purchase using Apple Pay. The cash back is really the only benefit of this card. Sign Up Bonus: $50 statement credit doubled at the end of a year. Ask a friend to share their Referral link to get the bonus. Will I Keep It: YES. As long as there is no annual fee, why wouldn’t I keep it? The holy grail of sign up bonuses appeared in August. I was on an airplane when I saw the post and applied for the card at 35,000 feet during my travel to Istanbul. Amex, like Citi with their ThankYou Points, uses their own currency. Membership Rewards can be used for purchasing gift cards, travel or merchandise, but probably the best use is transferring points to an airline or hotel partner. You earn 1 Membership Rewards point for every dollar you spend (no bonus categories). This is another premium card like the Prestige and comes with high benefits and a high fee. The major benefit is access to the Centurion Lounge, one of the best airport lounges in the US. You also get access to other lounges through Priority Pass (but it’ll cost if you bring in a guest). There is a $200 annual reimbursement for airline fees (drinks, checked luggage, change fee) but this cannot be applied to the purchase of tickets. Sign Up Bonus: 40,000 Membership Rewards points is standard, but I wouldn’t suggest applying unless you are offered 100,000 points as you only get the bonus once in your lifetime. Will I Keep It: NO. As much as I love the Centurion Lounge and Studio, I won’t keep this card past the first year. 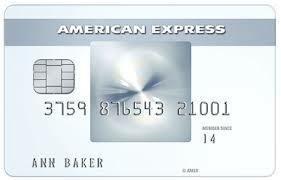 I will be able to hold on to my Membership Reward points as long as I have a MR Amex card (see below). My most recent application was for the Amex EveryDay Credit Card when the sign up bonus was increased to 25,000 Membership Rewards points. It is a basic, no fee card. You earn 1 Membership Rewards point for every dollar you spend — 2 points at the grocery store. You also get a 20% bonus in months where you use the card at least 20 times. Pretty easy to do even if you have use it for small purchases like buying small Amazon gift cards or paying for each item individually when grocery shopping (use self check out please!). Sign Up Bonus: 25,000 Membership Rewards points seems to be the standard right now, but that could drop back down to 10,000 at any time. Will I Keep It: YES. This will be my “free” (no annual fee) Membership Rewards card to keep my account active. So, what did all of these credit card applications net me? Read my next post to find out what I was able to earn with all these sign up bonuses and how I did it.